Golan Heights, Israel (Sorry Bashar): The mysterious dark pillar of clouds that stood between an IDF patrol and ISIS on the Golan Heights last week already has big plans for what’s he’s going to do after the army. The vertical cumulus cloud, named ‘Boaz’, said he is ‘counting down the days‘ until the end of his enlistment, at which point he and some of his army buddies plan to go on a 3 month trip to India and Nepal that he says “is going to be sick“, “really crazy” and “just out of control“. Boaz, who comes from a family of storm clouds from outside of Israel and therefore qualifies as a Chayal Boded or “Lone soldier”, finishes his enlistment next May. The Daily Freier Caught up with Boaz on Thursday night at a bar on Dizengoff street as he enjoyed a weekend pass with a few of the guys from his unit. Boaz told us that they chose this particular bar on Dizengoff “because one of the guys in my squad said he had a bit of luck here“. When we arrived, Boaz and his buddies spotted several women from a “MASA” exchange program sitting by themselves and they quickly introduced themselves and sat down at their table. Soon, Boaz stretched out, exhaled, leaned back in his chair and nonchalantly wrapped his cloud arms behind the back of two young women as he told them stories about his Army duty and how just this week he “like saved my entire platoon from ISIS“. Boaz’s friends who will accompany him to India include such other mythical enlistees as “The Israel Spy Dolphin“, a talking dog from the K-9 unit, the wild boars that Mahmoud Abbas says Israel releases on the West Bank every night to ruin crops, the Zionist sharks in the Sinai, and the soldier on your Birthright trip who honestly really really isn’t trying to bang you. 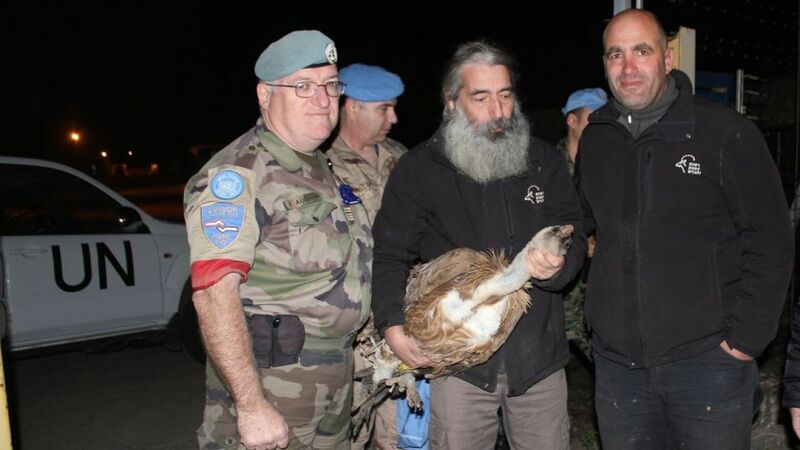 Golan, Gamla Nature Preserve: The accused “Mossad Spy Vulture” captured last week in Southern Lebanon has been returned to Israel with the assistance of the United Nations, but that is not the end of the story. The vulture, who goes by “Eddie”, has decided to join the controversial IDF veterans group “Breaking the Silence”, known for their whistleblowing activities and testimony against Israel. Not surprisingly, this move has led to quite a bit of animosity with some of his former comrades from the Animal Kingdom. In fact, Eddie and the famous Mossad Spy Dolphin have been busy trading insults on Social Media for much of the weekend. As the war of words escalated, the Daily Freier was able to speak with Eddie via Skype.